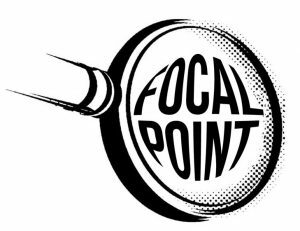 Thesis: What Is Our Focal Point? But as for you, stand here by Me, that I may speak to you all the commandments and the statutes and the judgments which you shall teach them, that they may observe them in the land which I give them to possess.’ So you shall observe to do just as the Lord your God has commanded you; you shall not turn aside to the right or to the left. You shall walk in all the way which the Lord your God has commanded you, that you may live and that it may be well with you, and that you may prolong your days in the land which you will possess. Only be strong and very courageous; be careful to do according to all the law which Moses My servant commanded you; do not turn from it to the right or to the left, so that you may have success wherever you go. This book of the law shall not depart from your mouth, but you shall meditate on it day and night, so that you may be careful to do according to all that is written in it; for then you will make your way prosperous, and then you will have success. Then Joshua built an altar to the Lord, the God of Israel, in Mount Ebal, just as Moses the servant of the Lord had commanded the sons of Israel, as it is written in the book of the law of Moses, an altar of uncut stones on which no man had wielded an iron tool; and they offered burnt offerings on it to the Lord, and sacrificed peace offerings. He wrote there on the stones a copy of the law of Moses, which he had written, in the presence of the sons of Israel. All Israel with their elders and officers and their judges were standing on both sides of the ark before the Levitical priests who carried the ark of the covenant of the Lord, the stranger as well as the native. Half of them stood in front of Mount Gerizim and half of them in front of Mount Ebal, just as Moses the servant of the Lord had given command at first to bless the people of Israel. Then afterward he read all the words of the law, the blessing and the curse, according to all that is written in the book of the law. There was not a word of all that Moses had commanded which Joshua did not read before all the assembly of Israel with the women and the little ones and the strangers who were living among them.